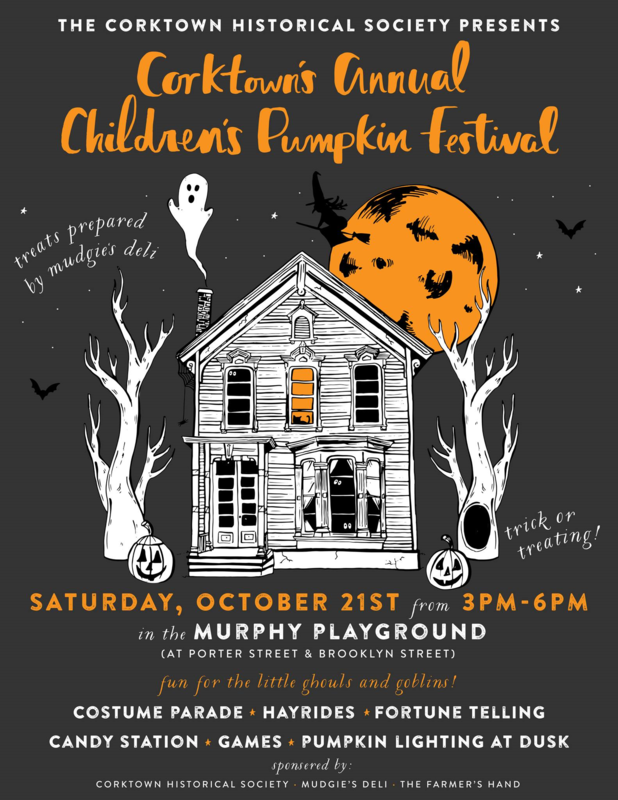 We invite you to an afternoon of spooky fun at Corktown's Annual Pumpkin Festival! Fun for the little ghouls and goblins! Costume parade, Hayrides, Fortune Telling, Trick or Treating candy stations, Games and pumpkin lighting at dusk! A wonderful day for children of all ages to enjoy the season!